I'm gonna kick off the new year with a guy from right here in my hometown... New Braunfels, Texas! Home to summer fun, winter visitors and a mecca for those in the Texas Music Business.... Gruene Hall. 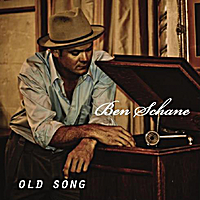 Checking the mailbag this morning, I got a note from a hometown artist, Ben Schane. He let me know he'd just released his second album, "Old Song", which is available on all the usual suspects, just click HERE. Ben is not only a talented musician/singer-songwriter, he's also known as one of the youngest custom boot makers in the entire State of Texas. Check out a bit of his background info from his website HERE. 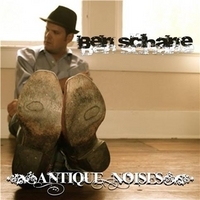 I know you'll enjoy Ben's music, so here he is... and if you haven't heard him before... "....you heard it here first. On Texas Online Radio." . Enjoy and add a copy to your "Texas Collection". Works: "Antique Noises" and "Old Song"
Listening to local music is a nice experience! Texas has a lot positive papersowl reviews for the great music scene.